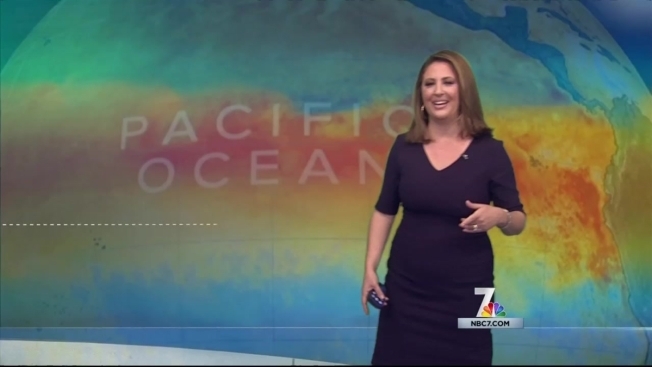 In this second part of our “Forecasting El Nino” special, NBC 7 meteorologist Dagmar Midcap discusses El Nino by the numbers, including ocean and sea surface temperatures as they pertain to El Nino strengthening. Predictions indicate El Nino will likely bring a rainy winter to San Diego and conditions may even persist through spring 2016. Get weather coverage you count on from Weather Team 7 by downloading the free NBC 7 App. 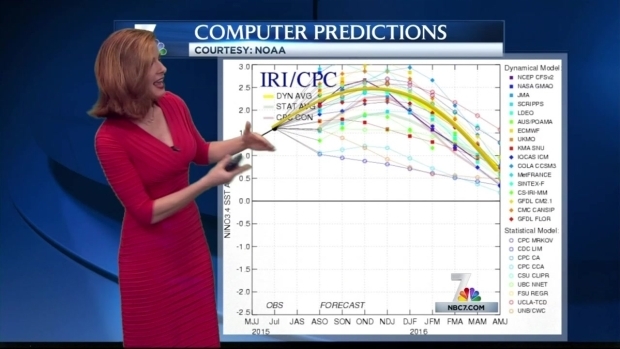 NBC 7 meteorologist Whitney Southwick knows what its’ like to report and forecast during an El Nino phase. In this third part of our “Forecasting El Nino” special, Southwick shares details – and incredible images – of what past El Ninos have brought to San Diego County, including flooding, heavy rain, snow and huge changes to our coastlines and beaches. In this fourth part of Forecasting El Nino, NBC 7’s Vanessa Herrera explains how San Diego County residents must prepare for a potentially wet winter. She notes how the El Nino in the 1990s led to major flooding because not everyone was properly prepared. 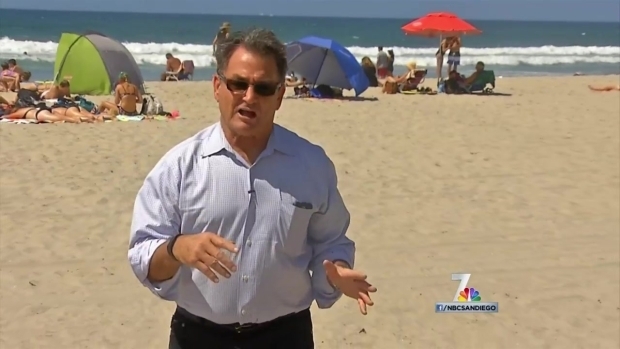 NBC 7’s Greg Bledsoe shows how the unusually warm waters triggered by El Nino have changed the Southern California landscape. 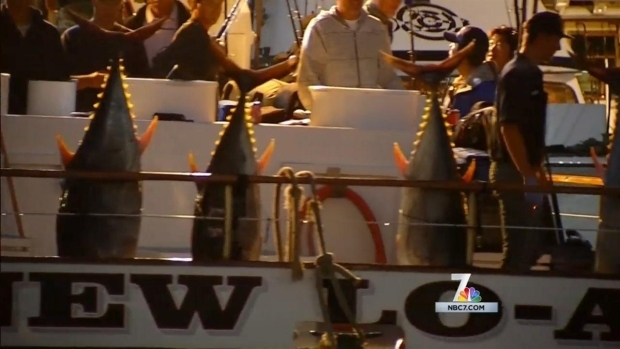 Orca whales, hammerhead sharks and marlins, not commonly seen off San Diego’s coast have already been spotted this year.